These two letters were written by Charles Pike of Norway, during his service as a musician with Company B of the 29th Maine Volunteer Regiment during the Civil War. 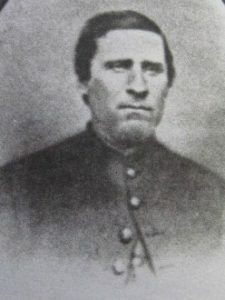 Pike was 37 years old and married with a family when he enlisted in January 1864. 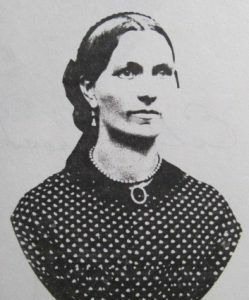 He married the former Esther Crockett in 1847 and they had three sons: Horace, born in 1849; Mark, born in 1852; and Dennis, born in 1856. Their home was on Paris Street, at the corner of Pike Avenue. These letters are copied verbatim, with the exception of some punctuation added for clarity. They contain information that is both historic and touchingly personal. The soldier referred to as “Greenleaf” in the first letter was Andrew P. Greenleaf of Norway. He began his second tour of duty one month previous to Cedar Creek. It was his first battle. The Battle of Cedar Creek took place near Strasburg, Virginia on October 19, 1864, when Confederate General Jubal Early staged an early morning attack that took the Union Army by complete surprise. 45 or 50 miles from Harpers Ferry in Camp how long we shall stop here I don’t know. After the Civil War ended in April 1865, Union troops occupied the former Confederacy as part of Reconstruction. Dear Wife and Children I still remain here to darlington and am well as common and I hope those few lines will find you all the same. I don’t expect to stay here to darlington a grait while. The quartermaster department is a going to move down to Florence in a few days. I can’t tell you any thing a bout when we shall come home as yet but probley not until spring but I hope we shall next month. They say we shant git paid off until we are mustered out of the serves and I hope it will be soon for it is lonsome out here. We had a real sletey storm here last night and this monning the tress were covered with ice and it rains to day. We suffer more with cold here than we should to home but I have got me a bed fixed up so as I lay quite comfortable nights. I find that my boots is very much needed out here. There is not much of a chance for me to ern much monney here for the boys have not got any monney now but if we are paid off soon there will a chance to git some. I bought a mink skin yesterday for a small sum that I send to. Is not a very large one but it’s a very good one and you sell it for what you can git. The boys here thinks that I was foolish for comeing back a gain some times I think so myself but it may be all for the best but if any of you are sick you let me know it and will come home forth with. I hope that Horace will be a good boy this winter and I presume he will be and little Dennis & Mark to for I want you all to be good Boys to Mother and when I come home Horace you shall come to Portland to meet me. Write as soon as you can. Charles Pike was discharged from service in April 1866, due to disease. He returned to his family at their home on Paris Street and resumed his work as a carpenter and builder. Charles Pike died in 1893 and is buried in Pine Grove Cemetery.